Nonprofit employers gathered at 16 Beacon to learn about the new Employment Law Pro Bono Project, a partnership between Lawyers Clearinghouse and the BBA’s Labor & Employment section. This new partnership seeks to address both the increasing need for such services by nonprofits and the lack of pro bono opportunities for employment lawyers by matching the two together. We’re excited to report this new development and will be updating you with more information and specifics as the program gets underway. In the meantime, kudos to the BBA’s Labor & Employment Section and Lawyers Clearinghouse for spearheading this important initiative. Ken Parker (Parker Keough LLP) and Megan Low (Volunteer Lawyers for the Arts) walked attorneys through what they need to know in order to help arts and cultural organizations. 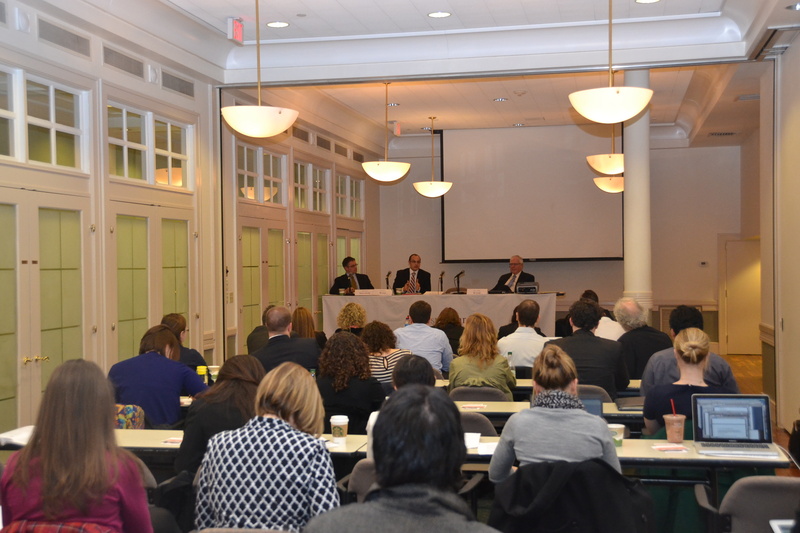 The BBA New Lawyers and Intellectual Property Sections teamed up with Volunteer Lawyers for the Arts to train attorneys on ways that they can help art and cultural organizations. The event was a primer on topics such as common art law issues, understanding the legal needs of artists and how to build a client base. Why should attorneys get involved in efforts to provide pro bono assistance to arts and cultural organizations? 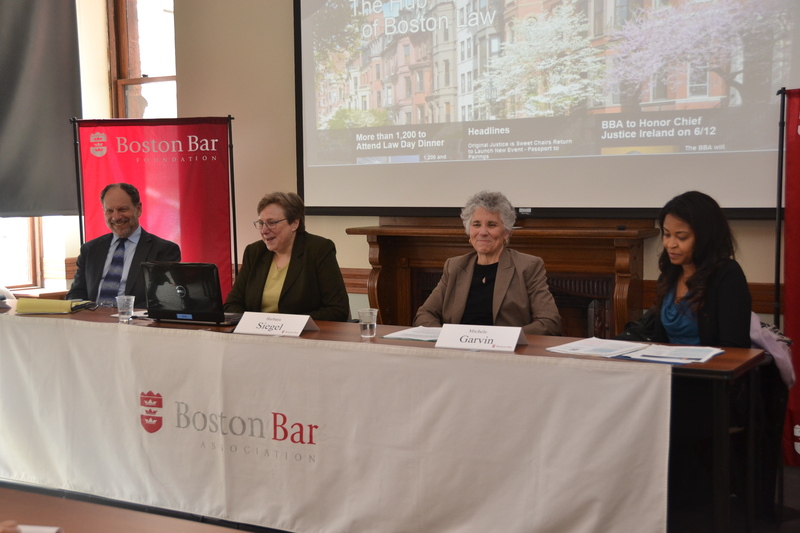 Attorneys learned about recent changes in Boston zoning codes, which impact urban agriculture at a recent brown bag. 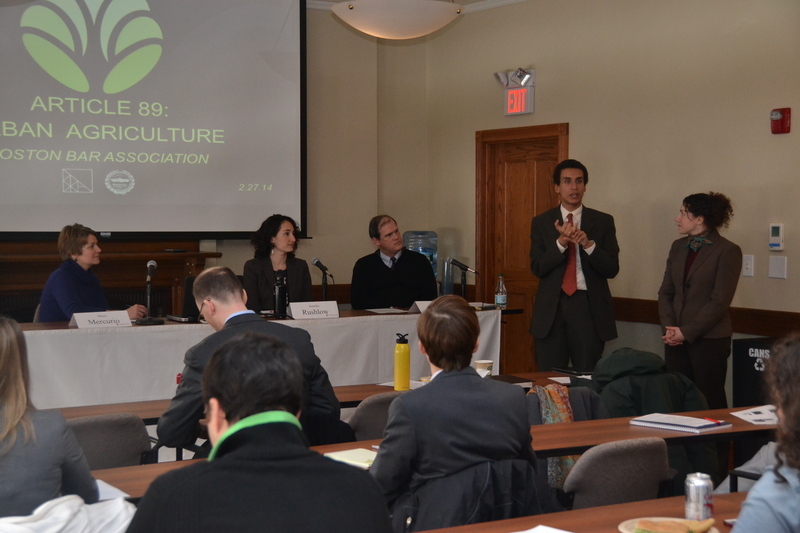 On Thursday, the Environmental Law Public Service Committee and the Health Law Social Action Committee sponsored a panel discussion on “Cultivating Local, Healthy Food: Urban Agriculture Initiatives & Pro Bono Opportunities.” Despite the recent cold snap, it’s not too early to plan on making your spring more sustainable. Here are four volunteer opportunities to check out. The Conservation Law Foundation’s (CLF) Pro Bono Legal Services Food Hub: CLF is launching a pro bono legal services network for farmers, food entrepreneurs, and food-related organizations. The focus will be in cases involving transactional issues, land acquisition/transfers, contracts, taxes, and corporate formation, among others. For more information, contact Jenny Rushlow, Director of CLF’s Farm & Food Initiative at jrushlow@clf.org. Green Bro Bono: Through Green Pro Bono, lawyers can help environmental non-profits, and social enterprises access legal services. For more information, visit their website. The Food Project Serve & Grow Program:Join your BBA colleagues on April 8th for a morning outdoors working on the farm and supporting The Food Project, a non-profit devoted to promoting sustainable food systems. For more details, please visit the event page on the BBA’s website. MA Environmental Justice Assistance Network (MEJAN): Find an opportunity to provide corporate and real estate support to community groups working on urban agriculture. For more details, contact Staci Rubin, Esq, Alternatives for Community & Environment, Inc. at staci@ace-ej.org. 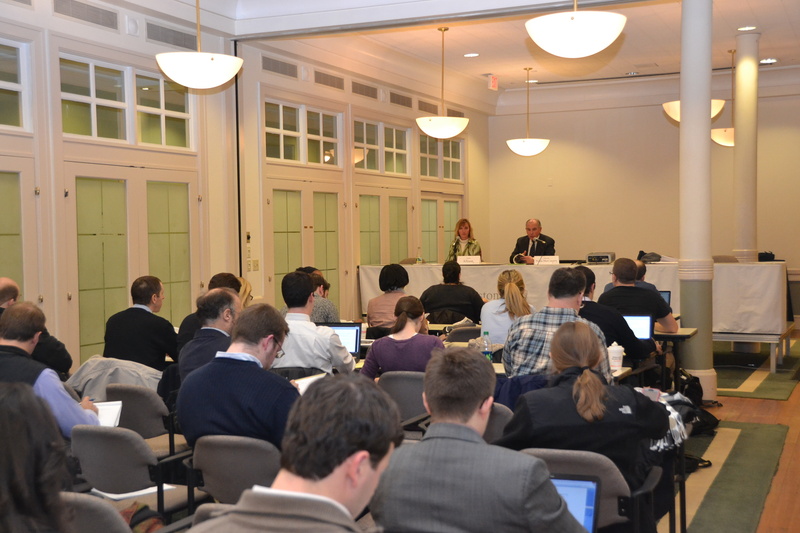 Joanna Allison (VLP) and Ned Notis-McConarty (Hemenway & Barnes LLP) led the LAR certification training. 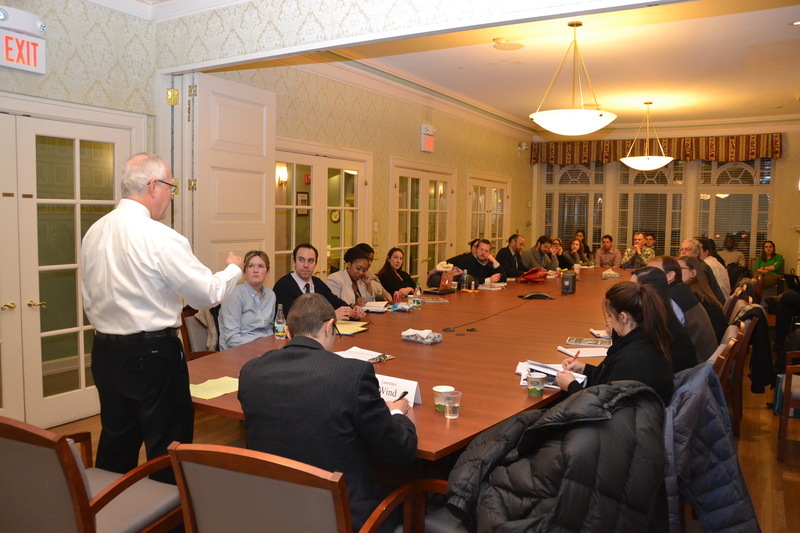 Attorneys braved the weather on Wednesday to attend the BBA’s Limited Assistance Representation (LAR) training. The free certification training taught attendees the basics of going into court for a single event in a case. So why was this training so important? LAR provides an opportunity for attorneys to gain valuable courtroom experience by providing litigants with representation for unresolved legal issues. At the same time, it helps ease the burden on courts facing unprecedented numbers of pro se litigants. Following the certification training, attorneys learned about practicing LAR in the Boston Housing Court and the Boston Municipal Court in breakout sessions led by the Honorable Jeffrey Winik (Boston Housing Court), Honorable Raymond Dougan, Jr. (Boston Municipal Court), Attorney Lawrence Wind (the Law Office of Lawrence A. Wind), and Attorney Thomas Beauvais. 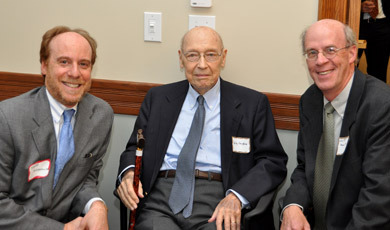 Honorable Jeffrey Winik (Boston Housing Court) and Attorney Lawrence Wind (the Law Office of Lawrence A. Wind) led the Housing Court breakout session on using LAR to assist landlords and tenants. 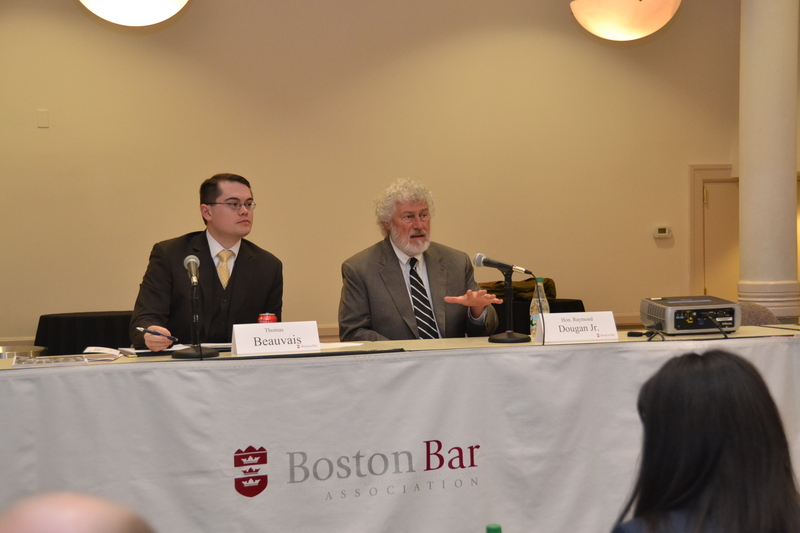 Honorable Raymond Dougan, Jr. (Boston Municipal Court), and Attorney Thomas Beauvais outlined how to use LAR in the Boston Municipal Court. What did attorneys learn from the training? Why should attorneys become LAR certified? “Attendees came away with a new tool in their practice that will help them make a living, while increasing the number of people who can afford access to justice. I also hope they came away with a commitment to use their new certification in their pro bono work .” This doesn’t actually answer the question. Is it actually necessary? Did you miss this training? Don’t worry—the BBA is holding another LAR certification training on March 13th. The breakout sessions will focus on LAR in the Probate & Family Court and Land Court. Feel free to just attend the breakout sessions if you are already certified. Save the date! On May 15, 2014 come hear nationally recognized LAR expert Stephanie Kimbro discuss about how you can incorporate LAR into your practice and how to communicate the availability of LAR to potential clients. 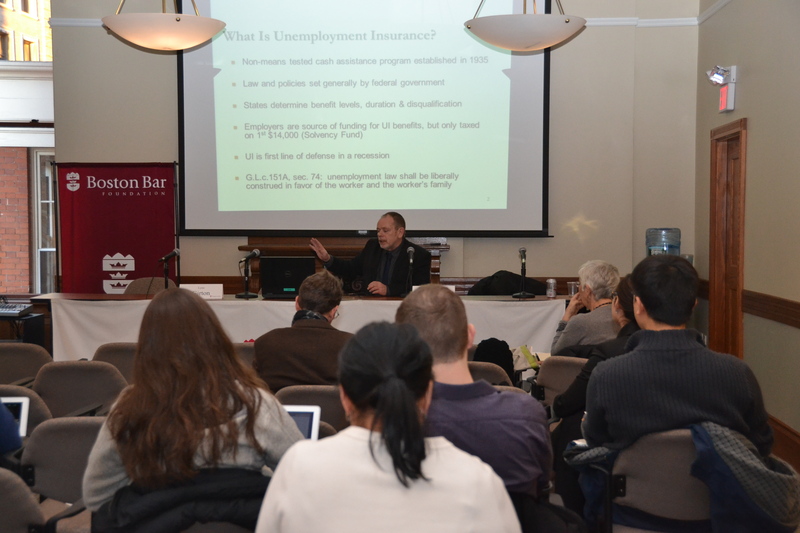 Brian Flynn (GBLS) taught attorneys the basics of unemployment law to prepare them to take pro bono cases through VLP. What do you hope that attorneys learned from the training? Why should attorneys get involved in pro bono unemployment benefit efforts? 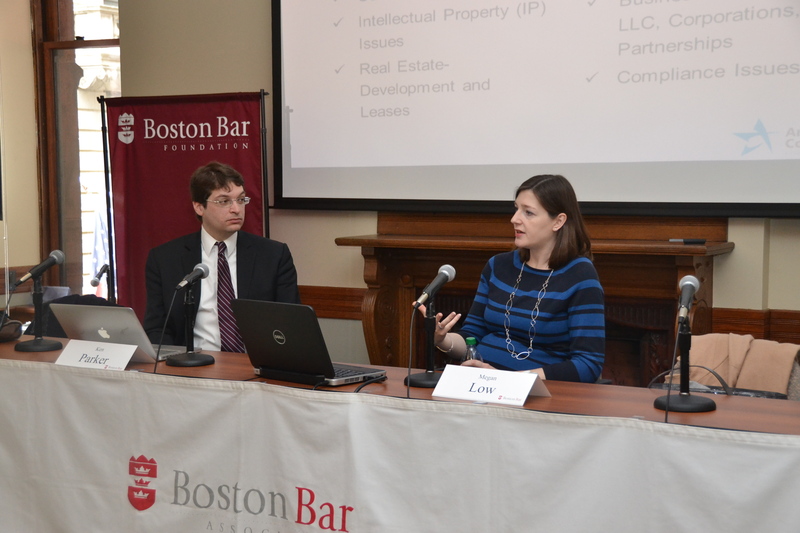 If you are interested in future pro bono trainings, please contact Katie D’Angelo at kdangelo@bostonbar.org.